The Sinclair clan are originally from Caithness. Dave’s family moved from there to Nairn before making their way to South Africa. We arrived at Glenmorangie House fairly late in the afternoon and we were met by Amy who works front of house. 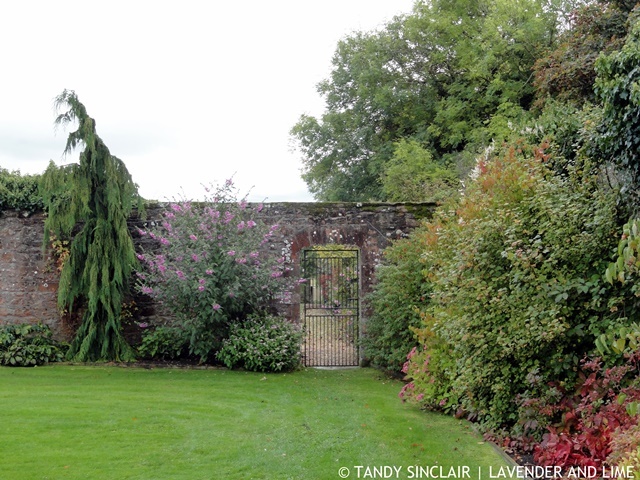 We were shown straight to our room – Nairnshire, which was opposite Caithness. What a great coincidence. After settling in we met in the lounge for coffee before heading off for the start of our whisky weekend which you can read more about next week. The bed was super comfortable and after a great night’s sleep I luxuriated in the large shower. The water was the perfect temperature and pressure, but the door leaked. I did not realize that we had to ask for the kettle to put into our room so we did not start our first morning off with coffee. On the second night, David, who is the house manager, bought a tray to our room before continuing with the turn down service. We were also given two miniature bottles of The Original to either drink there or take home. Given how much we tasted, we took the bottles back to the UK with us. Our room had a huge stunning bath which I did not make use of. There are no televisions in the rooms or the house itself which for us was not a problem. There is good WiFi at Glenmorangie House and we could catch up on news and the Formula 1 race using the internet. This old-fashioned home has two staircases, 2 lounges, and 2 dining rooms. There are cottages at the back for both guest and staff accommodation. Thankfully we did not need to make use of the mudroom, but had it rained badly enough there were Wellington boots and umbrellas available for us. 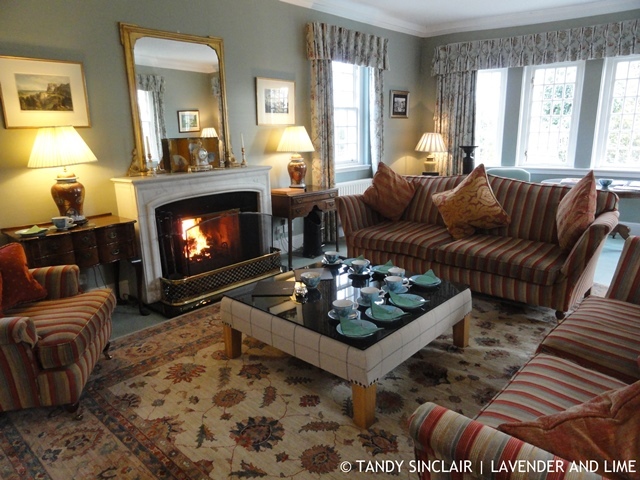 I love the fireplaces in the lounge, which was a necessity given the cold weather. The gardens are stunning and I regret not spending more time walking through them. Each bedroom has blackout curtains, towelling robes and plenty of towels. Shampoo, conditioner, shower gel, handwash and hand and body cream are provided. 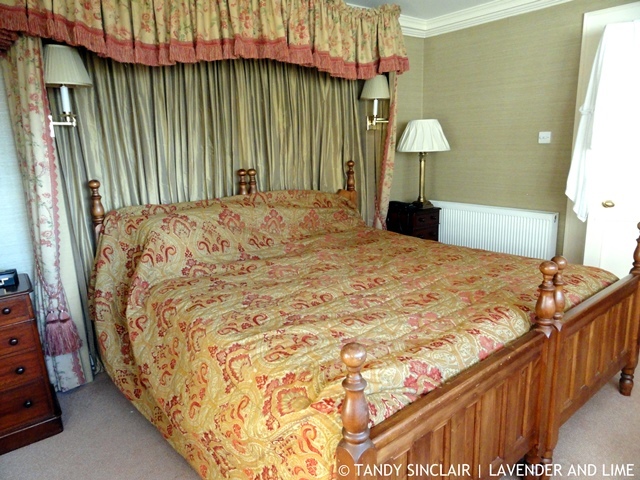 Glenmorangie House is well-appointed offering luxurious accommodation. Be careful of the uneven stairs which were put in deliberately to catch out intruders. A staff member is on site and available 24 hours. They are more than willing to go the extra mile and will provide you with any extras you need. We gathered in the lounge for a Quinta Ruban old-fashioned cocktail. 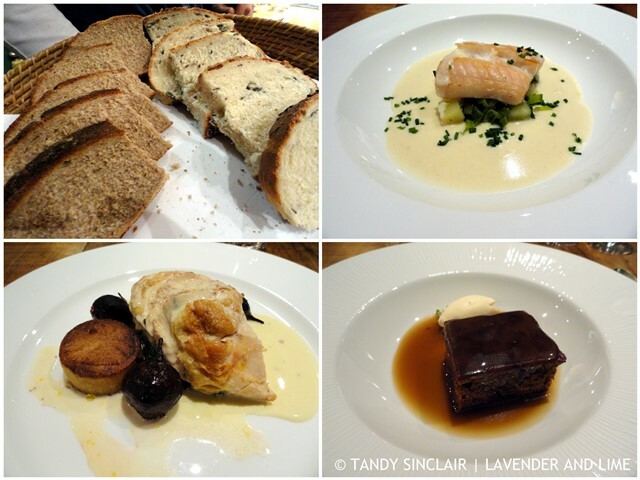 Dinner was fillet of smoked haddock to start, followed by roast breast of corn-fed chicken and ending with a classic sticky toffee pudding. Wine was offered with our meal but it was really not good. Tea and coffee were served after the meal in the Buffalo Room and after some great conversation we headed for bed. Breakfast is a huge fare of an amazing help yourself buffet. This includes cereals, fruit, yoghurt, charcuterie and cheese. Interspersed with pastries and a hot plate of food you will not feel hungry if you indulge. 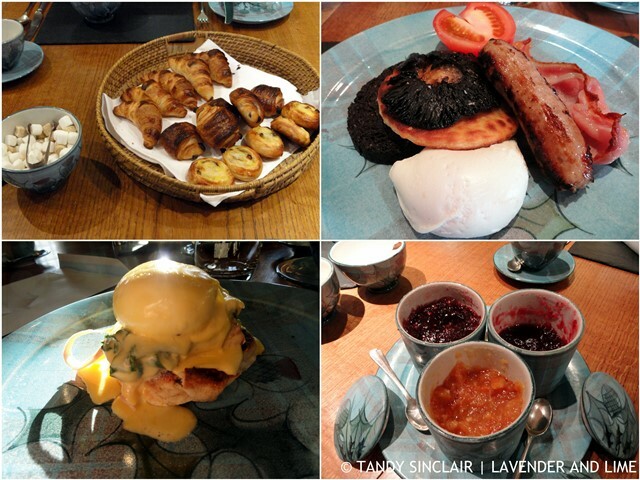 I started off with coffee and a croissant and chose the full Scottish breakfast as my hot meal. This included poached eggs, sausage, bacon, black pudding, haggis, a potato scone and mushrooms. I thought it was an excellent choice but went for something different on the Sunday. My second breakfast was Cadboll eggs Benedict with a perfect Hollandaise sauce. We were given huge mugs of delicious spiced carrot and lentil soup. It was so good I had two! On offer were also prawn; egg; and tuna sandwiches which were nothing special. After lunch we went off to do some clay pigeon shooting. 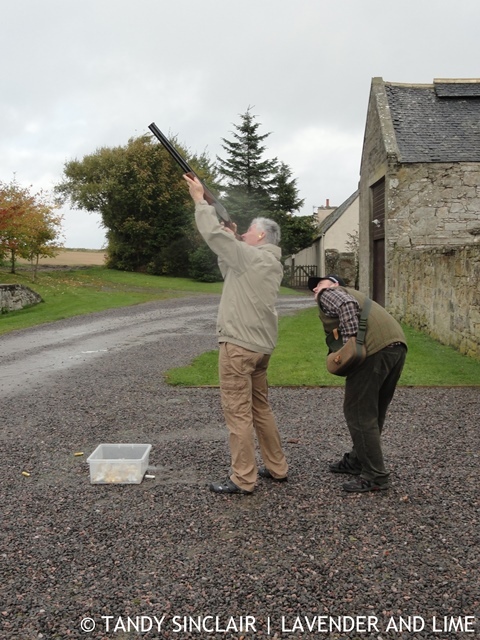 This was my first time ever shooting a rifle so I was well pleased that I managed to hit some of the clay pigeons.This was followed by afternoon tea which included scones and other sweet treats. The hot coffee was more than welcome after being out in the cold. This started off with a Sicilian cocktail and canapés. While we were enjoying our drinks the piper was outside warming up. When we were ready, he piped us in to dinner. 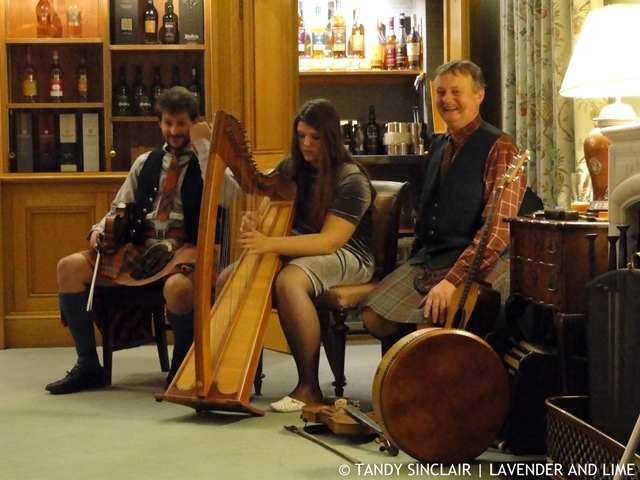 Once we were all gathered around the table he piped in the haggis carried by the chef at Glenmorangie House. I cannot resist the freshly baked Cadboll walnut bread and nibble on that before the haggis is served. This is followed by Loch Duart salmon. The main course is roast saddle of Ardgay venison. To end off the meal we are served The Glenmorangie “Signeture” dessert which is chocolate based. We were entertained by the most wonderful family after our dinner. The father, who is the piper, is a farmer and has 5 children, all of whom are musically gifted. His oldest son runs the farm and nearly died when a tractor fell on him in July 2017. He was truly humble and said the following which really touched me. He played the violin and sang a bit and I am sure that his Highland Games participation and farming strength has helped him heal as quickly as he has. The other two sons are at university in Scotland studying science degrees and his oldest daughter is in America doing medicine at Johns Hopkins. The youngest daughter, plays the harp and has the most amazing voice. She sang to us in Gaelic which according to the Scottish guests was really something unique. We did not do any Highland dancing but one of the guests regaled us with some very good poetry. 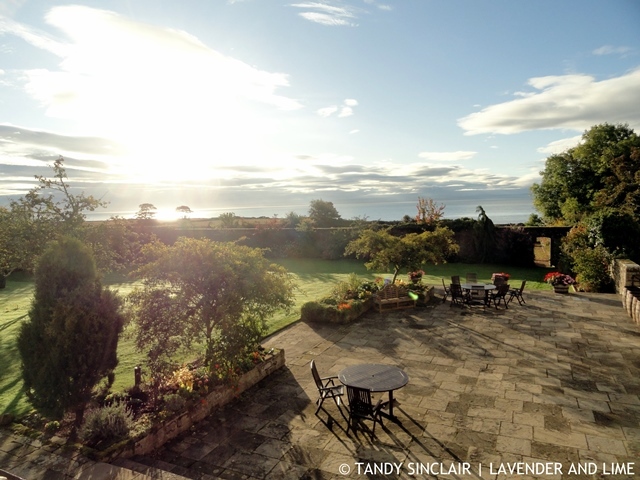 If you are looking to do a whisky weekend then Glenmorangie House is the perfect place to do so. 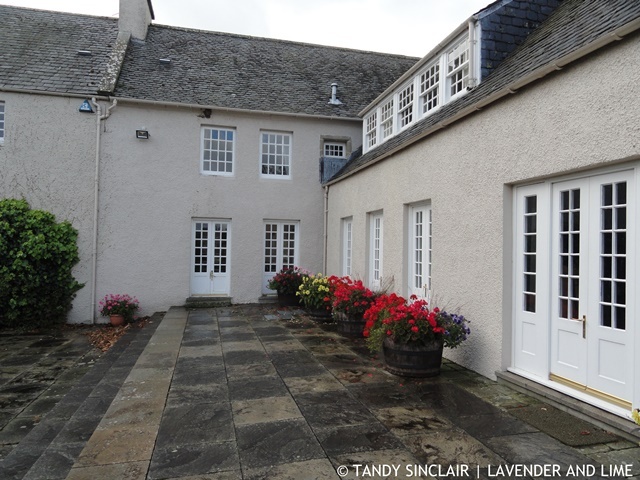 You will stay in the home of the McLeod’s of Cadboll and be made to feel like part of a family. We experienced what felt like a great gathering of the Clans, with Scottish people from all over. I’m so jealous! Scotland has been on my list for ages. Oh the breakfasts! When I was in Ireland, I had black pudding every morning lol. 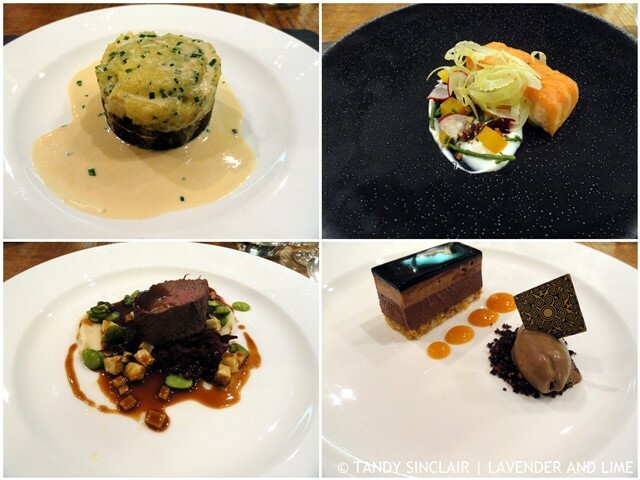 What an incredible place to stay and an amazing dining experience! Just the place I’d like to say….and agreed on the t.v. Don’ want one in my room. But the bath….hmmmm. I would have used it for sure!!! Have fun! Looks like a lovely place to stay and I am looking forward to reading about your whiskey weekend! Thank you so much! I did not know whether to include it or not. That looks like a dream come true Tandy! And I love that the uneven stairs were there to catch out intruders-what a funny detail. It sounds really wonderful, Tandy. I really want to visit Scotland this August. So happy to find this post ! Scotland is so beautiful, people are so very friendly; haggis is the best ! Thank you Tandy ! Enjoy the day !